Chatbots have arrived and how. We see them everywhere – for social media, websites and even in business-business conversations. It’s time they made an appearance and impact in internal communications as well! Every time you see an HR executive grimacing over the phone to some employee, you can guess at at-least some of what is ailing him/her. On any regular working day, the HR executives will be subject to hundreds of calls coming his/her way concerning various problems an employee is facing. Navigating and resolving each of these calls is not only exhausting but can sometimes be unrealistic. Imagine having to scan through piles of catalogs to answer simple questions about an employee’s personal records or some IT problem. This invariably leads to exaggerated turnaround times per resolution, earning the ire of the user/employee to whom the question may seem to be a simple case of forwarding link over an email. Another problem with unstructured internal communication is that it is impossible to track these calls, such that the user loses track of the status of his/her query leading to a sense of confusion and frustration on both sides. 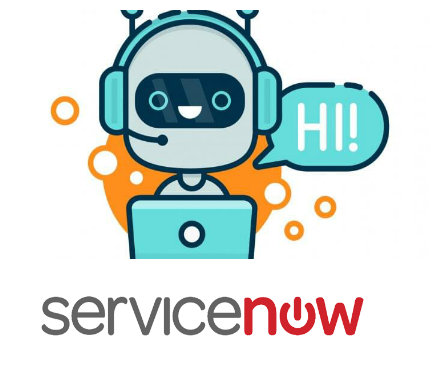 AI-powered ServiceNow is now integrated with the Cognitive Engage bot designed to come up with an integrated solution for HR departments to capture requests through tickets, but not make it complicated for the end user. What’s more, today applications like CognitiveEngage can be used to create bots integrated with ServiceNow to further ease the process. Handling customer issues from the HR desk is quickly becoming a cakewalk! Handle General Q&A: Cognitive engage bot can respond to the frequently asked questions by the customer. These responses can be trained in IBM Watson Assistant services. These questions are basically the requests which don’t require any incident to be created in Service Now. For e.g. A customer asking the steps to reboot a printer to the agent and agent can guide the user instantaneously. The bot can understand the category of the request with the above information and submit the incident. The customer will get the notification about the incident. Report on Status of incident: A customer can ask for the status of the incidents at any time. Cognitive Engage can be integrated with Service Now API’s to fetch the status of the incidents. The bot can also show the list of incidents for a particular customer. Enable Notifications: Customer can opt for push notification from the app through SMS or email. Contextual Search for related incidents: Contextual search helps customers deflect or quickly resolve their issues without involving the service desk operators. Contextual search can also include results from other sources such as a service catalog, allowing a user to directly order a catalog item from a search. Knowledge base search: The knowledge base search is basically searching for issues which are not trained as part of Watson training but searching in companies’ document repositories. This is a semantic search and not a simple keyword search. Call back support for urgent incidents: In case the customer wants to talk to a customer care agent for any urgent incident, then the bot can notify any available customer care representative to make a call to the customer. Bots are constantly online and respond instantly to customers’ questions in real-time. If the Bot is unable to answer the question successfully, it can either route the conversation to an agent or if the entire team is unavailable, it has the ability to capture the customers’ details and pass the details over to the correct support agent. Acknowledge your customers instantly. Reduces time wastage: Gone are the days of long training sessions for all members of the HR every time a new technology comes into being. This new integrated Bot interface is a one-stop solution to handling almost all customer queries. Powered by NLP; CognitiveEngage bot can understand natural language without having to rely on specific commands or structured text. Instant customer acknowledgment: Receive instant replies instead of waiting for emails etc, or being asked to create tickets. Hence improved support quality that ensures customer satisfaction. Increased HR productivity: Now, the HR can devote time on other urgent tasks, ones that need human intervention rather than focus on trivial questions, which results in increased ROI for the department. 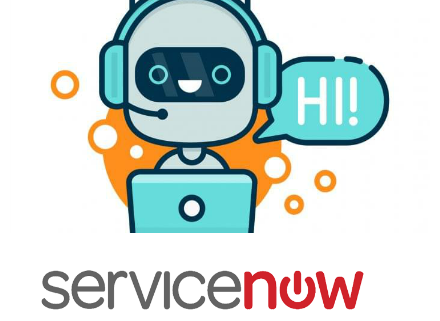 Using chatbots like CognitiveEngage and ServiceNow can reduce call volumes to help desks by 15-20 percent, using the standard argument that frees human resources to handle more difficult inquiries. This not only boosts HR productivity and ensures profitability, but also improves corporate culture by ensuring seamless resolution of queries and lesser dissatisfaction level for agents and customers alike.